I've likely mentioned this already, but I'm pretty stoked for Satellite Reign. It's a "spiritual successor" to the early 90s Bullfrog RTS Syndicate, in which players control a team of four unique "agents" battling for control of a neon-infused cyberpunk city. Think Shadowrun, maybe, but with less metaphysics and more guns. Satellite Reign did very well for itself on Kickstarter last year, raising $721,000 on a goal of $547,000, and work has proceeded apace since then. It's still early days, but it's now playable, and also buyable on Steam for $27, a ten percent discount on its full-release price of $30. The initial Early Access release was actually the build given to beta backers about a month ago, but it's since been updated to a fresher version. The latest release fixes some bugs, makes some visual tweaks, and adds the ability to adjust the density of civilians, which can significantly impact framerates. 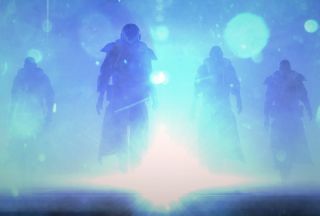 Satellite Reign looks solid, but remember, as always, that Early Access releases should be approached with a certain degree of caution: Anything can happen, including, as Valve warned back in the summer, abandonment in an incomplete state. But if RTSes, cyberpunk, and/or videogames with an old-school flavor are your thing, this is probably one worth keeping an eye on.